No trip to Istanbul would be complete without eating Turkish food and lots of it. Every day during my trip in July, I met friends for lunch and dinner. They treated me to all the Turkish foods that I miss such as kebabs, mezes galore, ahtapot, balkaymak, gözleme and künefe. I thought I would recap all the delicious foods that I ate into one long post for you. 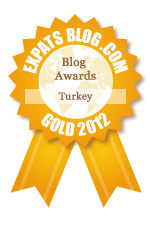 Maybe on your next trip to Istanbul you can visit some of the same restaurants in Istanbul that I did. My eating adventure in Istanbul started shortly after my friends, Nicole and Kartal, picked me up from the airport. 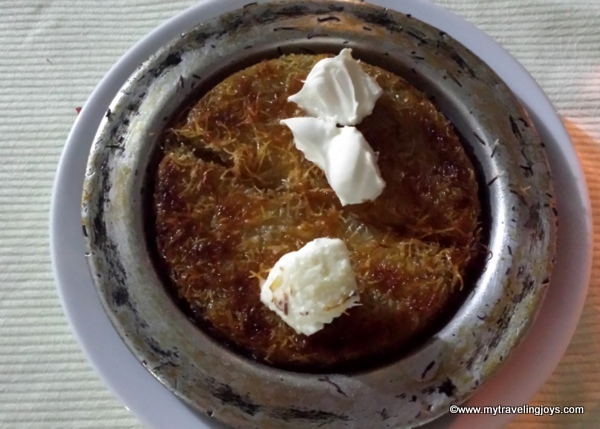 I had visions of eating Turkish mezes and drinking raki so they took me to Giritli Restoran near Sultanahmet. They had me mesmerized by Giritli’s fixed-price menu that includes bottomless glasses of raki or local wine and mouth-watering mezes. 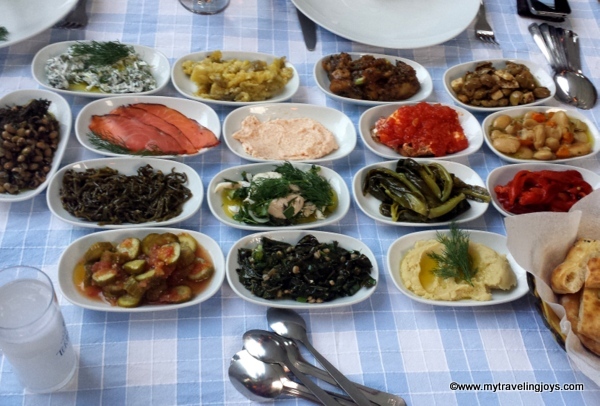 I was overwhelmed by the unique mezes – typical of the Turks who once lived on the island of Crete – especially herb-covered olives with feta and the seaweed. 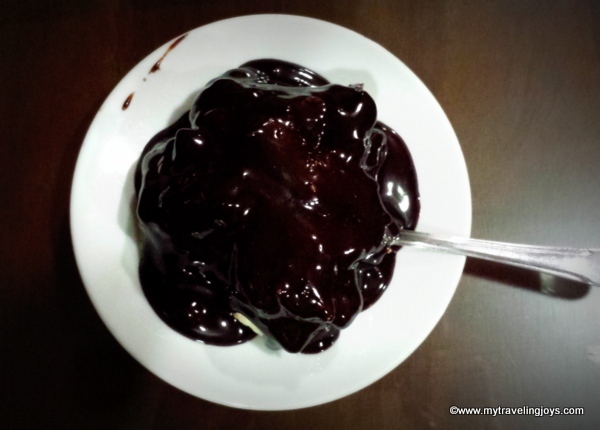 On Monday afternoon, we tried the infamous profiteroles at Inci Pastanesi’s new location on Mis Sokak. This old school pastry shop has been serving up cream puffs drowned in chocolate sauce for more than 70 years. I honestly don’t see what the fuss is about, but Inci was one of those things I had to try at least once. On Tuesday morning, I specifically went to the Salı Pazarı (Tuesday Pazar) at 4Levent for the gözleme. 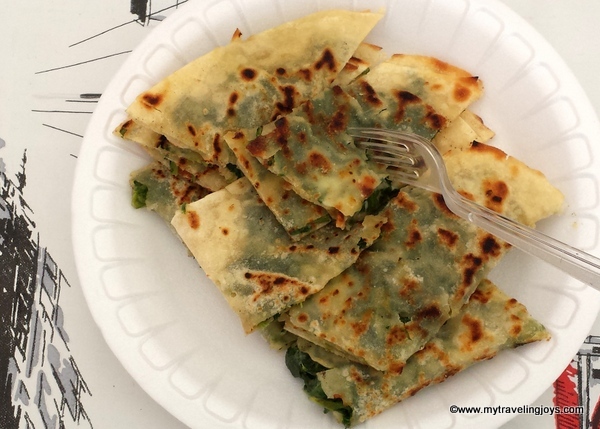 This Turkish “quesadilla” with spinach and cheese filling is one of my favorites while my husband prefers the karışık (mixed) version. After visiting the Museum of Innocence, my girlfriend and I grabbed an afternoon snack of fried mini sigara böreği at the laidback Şimdi Café located off Istiklal Caddesi. I smuggled some yufka back to Poland and plan to make my own sigara böreği at home someday. For dinner, we went to Gelik in Etiler because it features a splendid meze selection (paid for by the weight) and delicious kebabs. Oddly, we were scolded by our server for not eating all our bread since it was iftar and we had apparently sinned against Allah. Oh well. 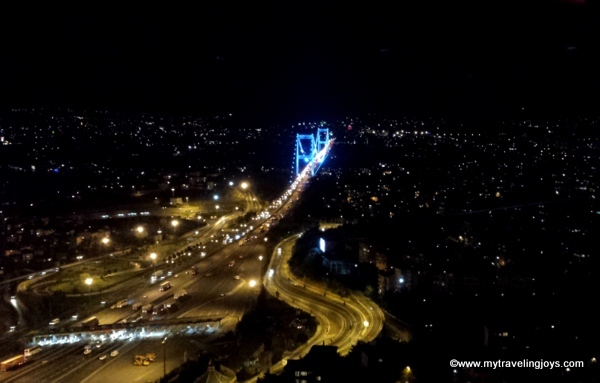 For a post-dinner cocktail and magnificent night view, Kartal took us to the fairly new Boaz Bar on the 34th floor of the Le Meridien Hotel in Etiler. Not surprisingly, cocktails don’t come cheap at 30-35 tl each, but my company and the night views of a city that I love definitely made it worthwhile. On Wednesday, I had my ridiculously good Turkish Breakfast by the Bosphorus washed down with copious glasses of çay at Kale Café. 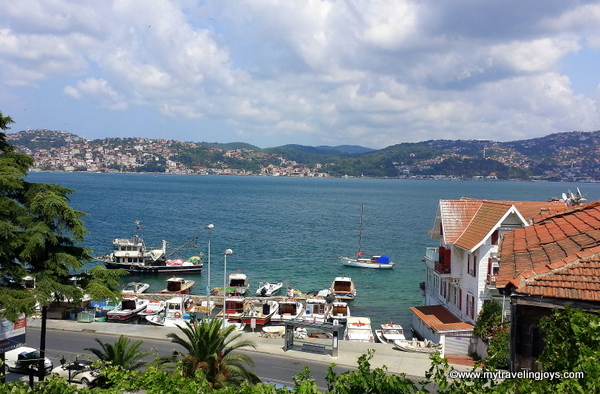 During the day, I spent time with my older girlfriends at a cute teahouse, Villa Park Çay Bahçesi, in Yeniköy, which is a wonderful place to watch the Bosphorus and gossip. On Thursday, another girlfriend and I headed to the Grand Bazaar and stopped by my friends at Huzur Café (Yağlıkçılar Cad. In the Cebeci Han) for lunch. The patlıcan soslu and aclılı ezme were prepared just the way they should be, and my patlıcan kebab also was good. 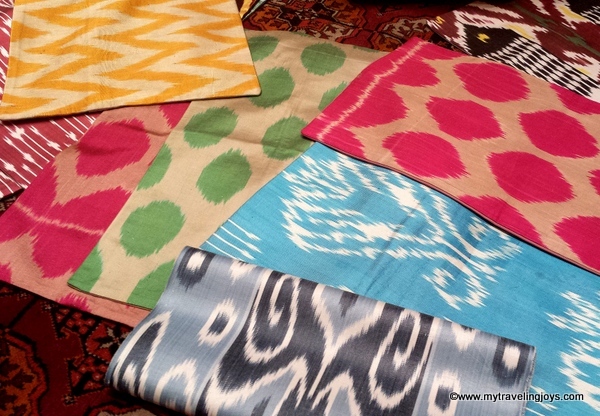 I love these Ikat-pattered pillowcases and fabric that my friend purchased next door. On Friday night, Murat and his wife took me for another meze and balik dinner at Galatalı Balık in Suadiye on the Asian side. The three of us finished off a bottle of 70 cl of Yeni Raki. No wonder my head was a bit foggy in the morning, and I didn’t take any photos! On Saturday morning, we entertained my friend’s two-and-a-half-year-old daughter by taking her to Tarihi Çınaraltı Aile Çay Bahçesi in Çenkelköy. This quaint, always packed teahouse allows you to bring your own food as long as you order çay and perhaps some menemen. Buy some Turkish börek from the corner store, eat and then feed the fish the leftover bread. 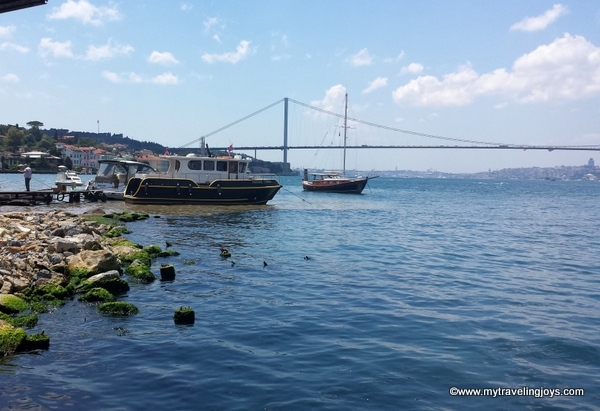 After breakfast, we walked along the Bosphorus for awhile. I miss these gorgeous sea views! After strolling past the Kuleli Military School, we decided to turn back. Murat said he would drive us all the way to Anadolu Kavağı because I had never been there. This tiny village, known for its fish restaurants and Byzantine-Genovese castle ruins, feels likes a world apart from the city. 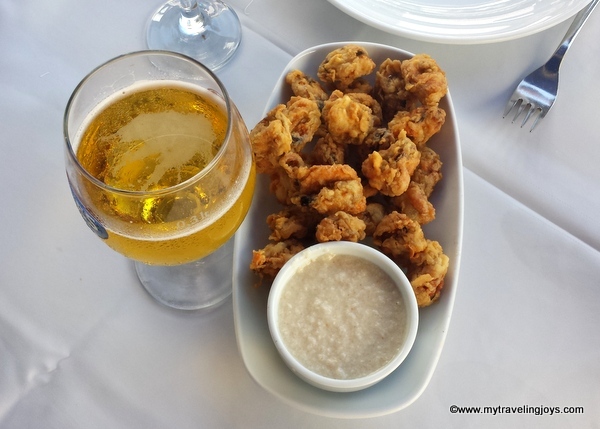 We found another seaside restaurant, ordered two rounds of the best midye tava (fried mussels) I’ve ever had in Turkey and watched the world go by. 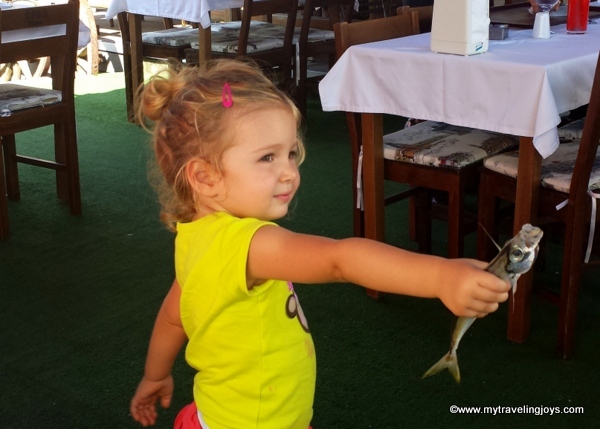 Our Turkish waiters, in true fashion, entertained my friends’ daughter by letting her hold (strangle) fish while we relaxed. "But daddy, I want to eat the fishy!" Sophie exclaimed. 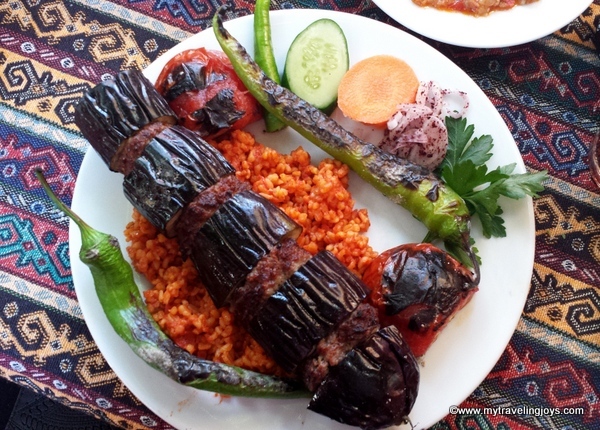 To cap off my one week in Istanbul, we ate some of the best kebab I had at a nondescript, sort of divey café in Bostancı called Adana Öz Asmaaltı Kebap, which received stellar reviews by Istanbul Eats. We ordered Adana kebab, ciğer (liver) and çöp şiş (tiny nuggets of roasted lamb). Even though we were stuffed, Murat surprised me by ordering my favorite Turkish dessert - künefe. Good friends and good food, that’s all a girl needs. After eating like this for a week in Istanbul, you easily can see why I gained a kilo on this trip! But it was worth every calorie! 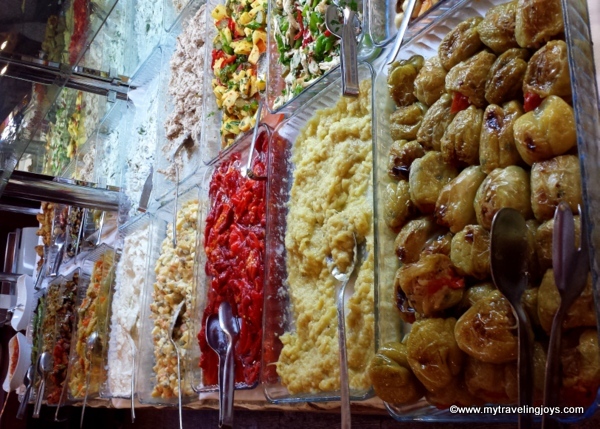 What are your must-eat Turkish foods in Turkey? İnci is definately overrated. It's profiterol is avarage at best and it's waiters are usually rude. I think it's the nostalgic feeling that makes people go there. Besides that there is nothing special about it really. that is my kind of week! @Kerem, Totally agree! Thanks for reading! damn it Joy - here I am diligently working at shedding weight (5kgs so far) and you post this stuff - what am I to do? You only gained a kilo!! I would have needed a whole new set of outsize clothes. Sounds like you had a wonderful week. I would love to be in Istanbul right now!!! @April, Yes, it certainly was nice to be back in Istanbul! @Julia, Sorry dear! :-) I've lost 1.5 kilos since I got back from Istanbul, but I still have several more I'd like to lose. Too bad I like eating and drinking so much! I agree with you about the profiteroles. I don't see what the fuss is about either. I love the mezes at the first restaurant you described. They keep coming and coming - so many! Joy, I planned to go to Turkey on next year. Do you know when the snow will fall? if possible could you please give me recommendation which Hotel is good for us (family). I planned to visit sultanahmet area. For Sultanahmet hotel options, I'd recommend the Kumru Hotel as it is owned by a lovely couple, friends of mine. Great location to the historic sites!